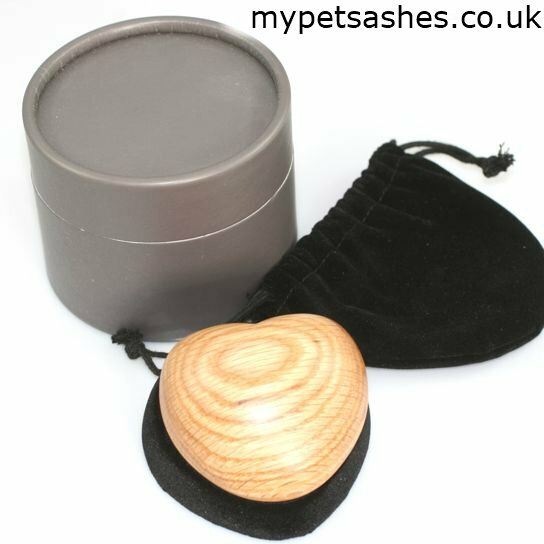 Everything you need to bury your pet’s ashes in one easy to use set. 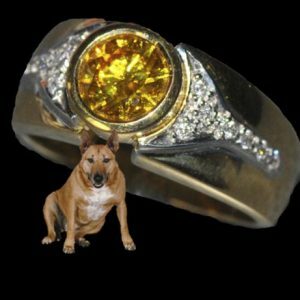 You can add a keepsake that can be engraved for a lasting memory of your beloved pet. 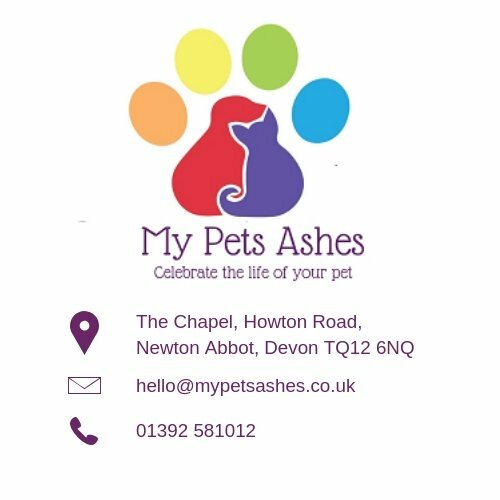 Call 01392 581012 to speak to us about any aspect of pet bereavement and ashes. 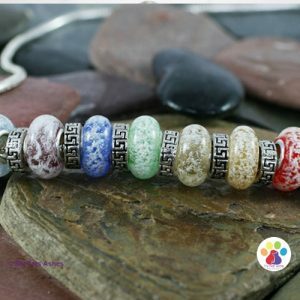 The set is easy to use. The urn will break down over a period of time to release the ashes into the soil. The length of time will depend on the type of soil, the wetter the quicker it will break down. 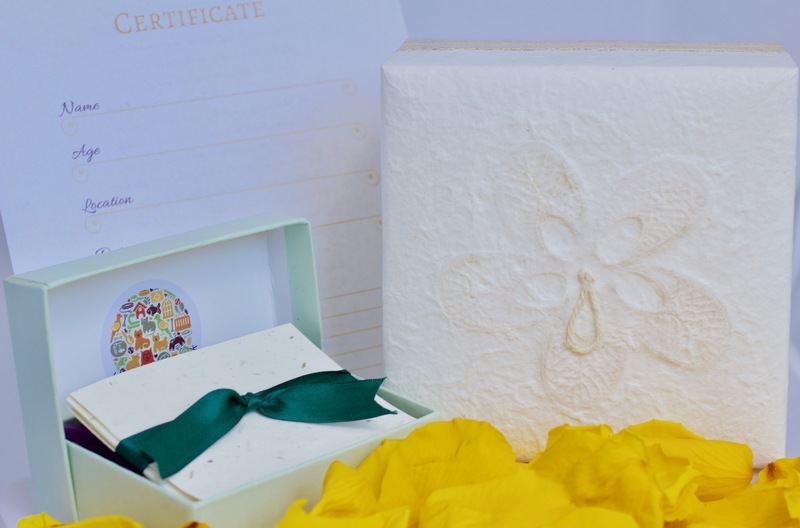 It is suitable for use in natural burial grounds. 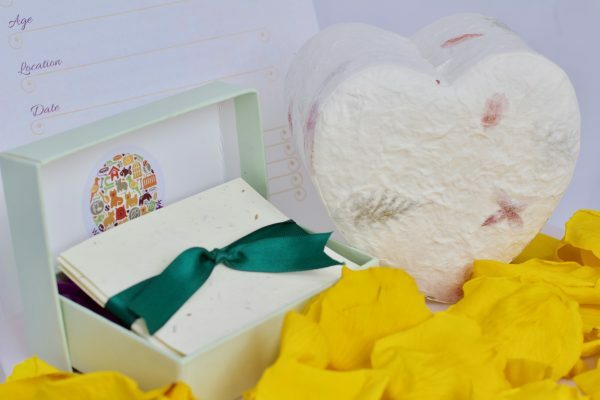 The Notelets contain wildflower seeds so that you can write your memories on them and bury them with the urn. By watering them you can create a beautiful wildflower memorial spot where you bury the ashes. 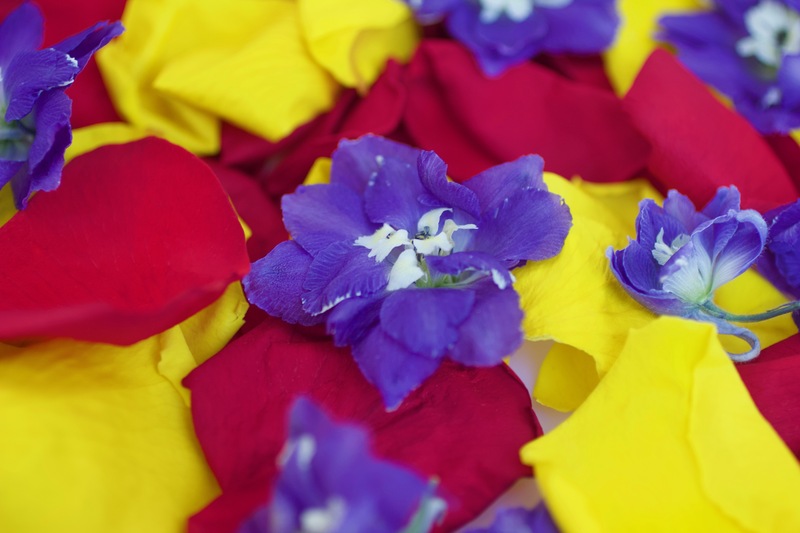 The rainbow bridge petals are a mixture of petals that look really colourful and everyone present can scatter a handful and take part in your ceremony. 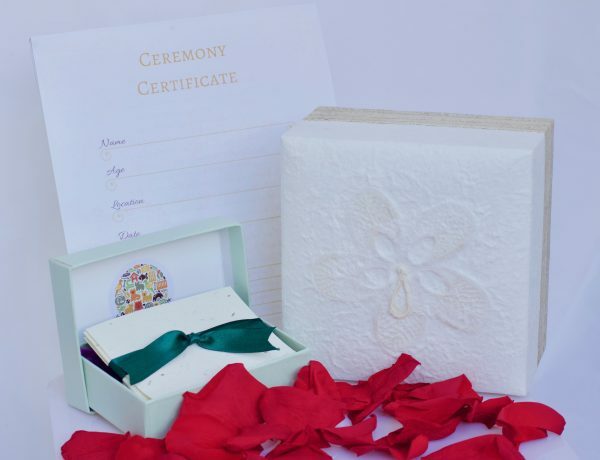 The certificate is a really good way to mark the ceremony and you can put in details such as who was present and the exact spot, which is helpful for those who cannot make the ceremony. 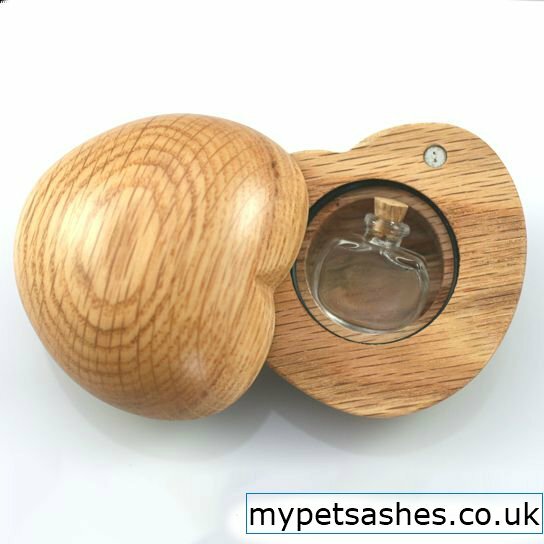 Many people bury their pet’s ashes and then find that they want to do something else with some of the ashes, such as having a piece of jewellery or glassware made. 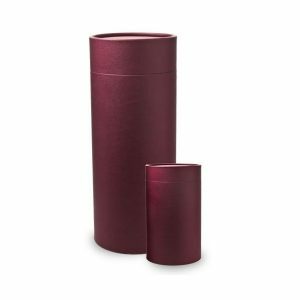 We recommend keeping a small amount back, if you seal them securely in a poly bag they will keep for as long as you need them. 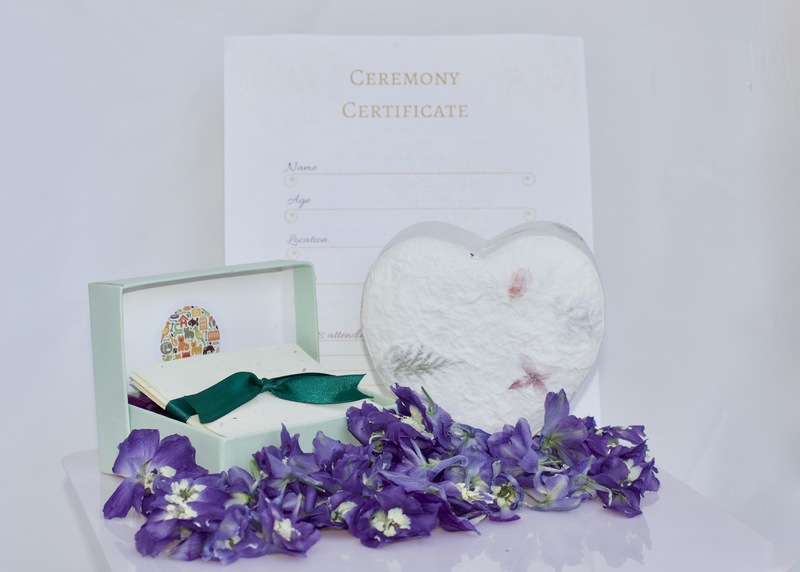 We have a range of keepsakes that will hold a small amount of ashes securely in case you want to do something with them at a later date. 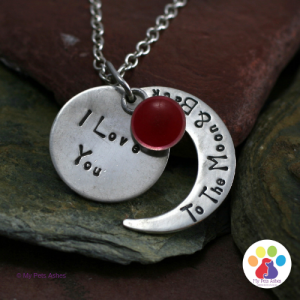 They are all priced at an additional £65 and some of them can be further personalised with an engraving. 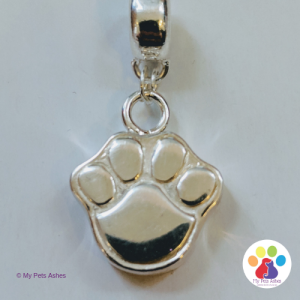 The 925 Silver Paw Charm with a kit so that you can securely seal a small amount of your beloved pet’s ashes within a charm that can be put on a bracelet or chain. 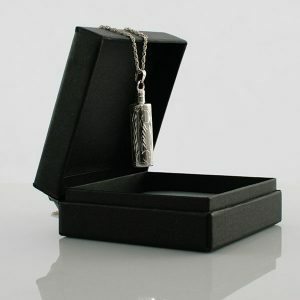 You can also have your charm engraved for a small additional charge. 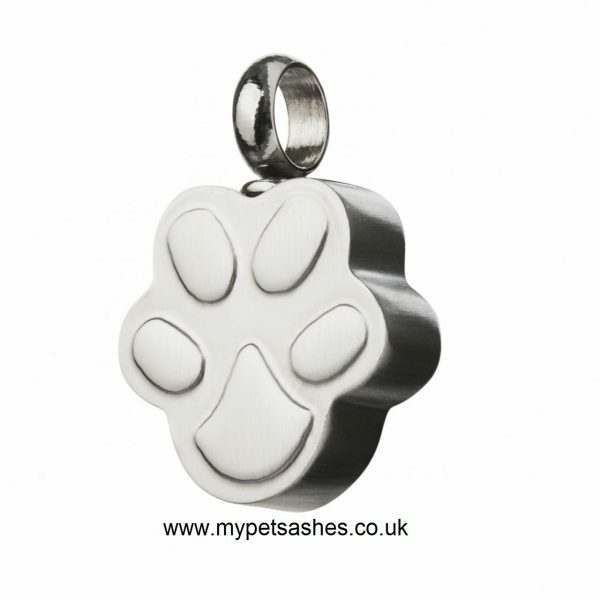 The set comes with a 12 step Pet Bereavement Guide to help you deal with the loss of your pet. 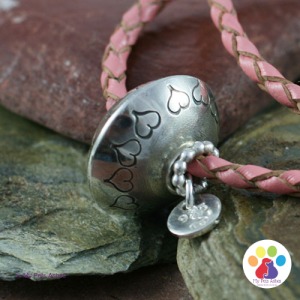 We can also supply you with bereavement bands for a visual signal when coping with the loss of a pet. 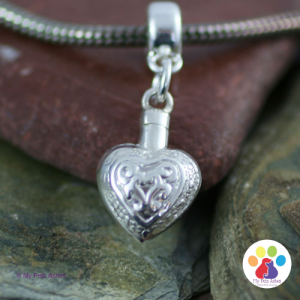 Foe more information about Pet Bereavement see our advice page and our blog. 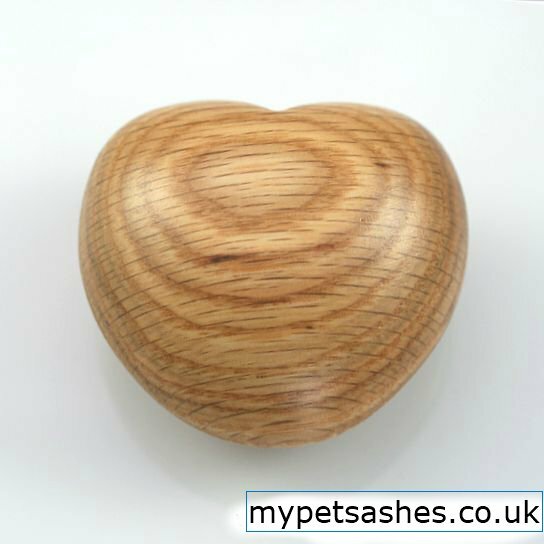 See our link of Natural Burial Grounds that permit the burial of pet ashes.